Today’s clinical tool bag is full of robust technologies designed to streamline workflows at the point of care, such as network-connected medical devices which allow clinicians to capture, aggregate and transmit data throughout the IT infrastructure in real-time. However, these new technologies often create the need for stronger security measures to protect key components of the Internet of Medical Things (IoMT). As often is the case, with increased security measures comes decreased usability when dealing with workflows at the point of care. As nurses are forced to learn new technologies, remember new passwords and protocols, and operate with new tools at the point of care, it’s critical that those new processes and tools are designed with clinical workflows in mind. 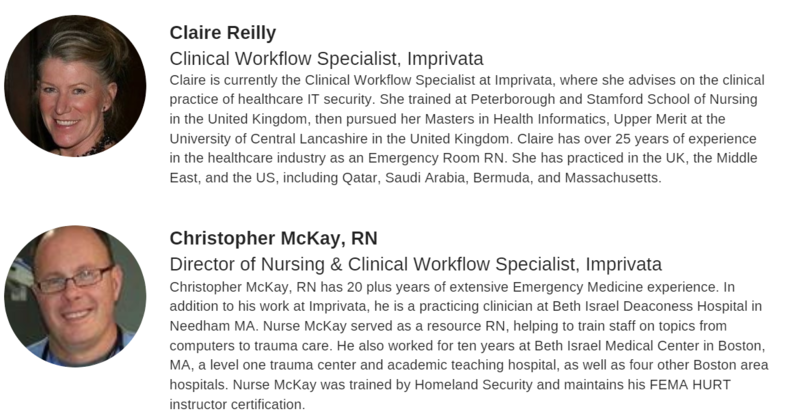 When nursing workflows are not taken into account organizations face the risk of decreased productivity, end user frustration, and even patient safety concerns.